Back in the Philippines, whenever my Mama cooked or stewed something, lemon grass is the usual addition of spice in the dish to give it an extra zing and to replace the sticky smell of a fish while cooking. In addition, lemon grass also helps you have that extra seasoning in your food. Some people also include lemon grass on the pig’s stomach when they are roasting a pig and even in a chicken. The difference of having lemon grass and not is very BIG. It has more flavor and you can tell that it's even tempting when you smell that cooked food. Because I missed those back home, I seek for a lemon grass in the USA. Unfortunately, I don’t find a plant nearby, however I found a stem at our local store. The only thing that I can do is to grow my own lemon grass in a pot; I’ve also seen others who were successful at growing them. Therefore, I should too, who knows I might be lucky and grew this lemon grass in a pot and it would be a big addition to my spices. I bought a pack of 3 pieces inside; the only thing that has the last stem where roots are coming out is this one. I put it in a glass of water, as what's on the researcher says, in order for the roots to come out in no time. I didn’t track the days, on how long the process will be before the roots will be visible, hence I’m very hopeful that this one will have soon. You’ll save a lot planting your own lemon grass. It will bring convenience too. I guess it will be a trial and error for planting the first time. 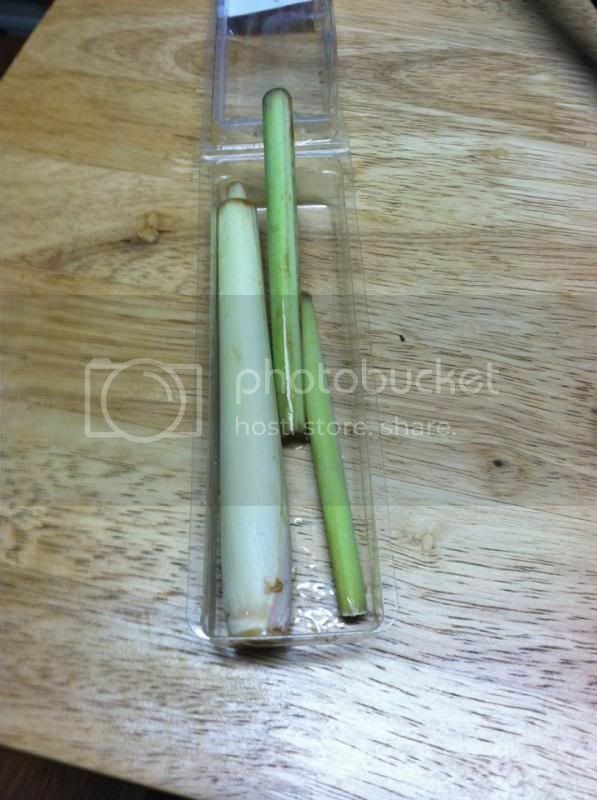 I love using lemon grass and I have one here in my garden, which reminds me to bring it inside, maybe it will survive for the winter. Seldom lang kami gumamit nyan. I don;t like the taste ng dish if lemon grass is added into the dish. This is one of my must-have. Sad to say, I have yet to find a plant.